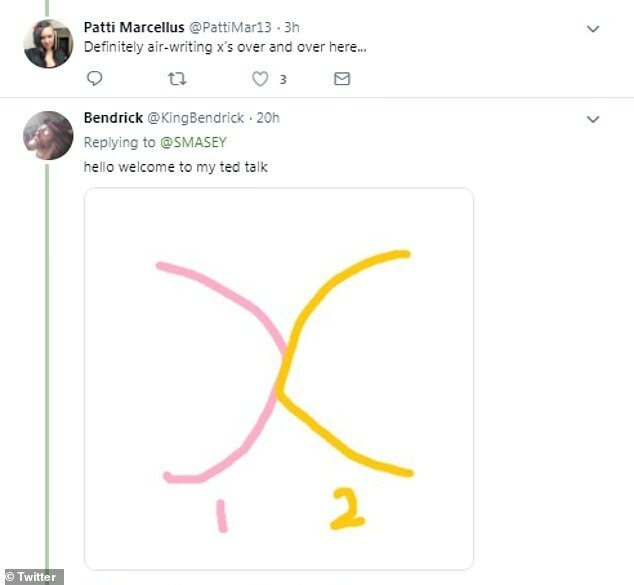 A mass debate on the correct way to draw an 'X' erupted on Twitter over the weekend after a diagram demonstrating the eight different methods of writing the letter was posted online. 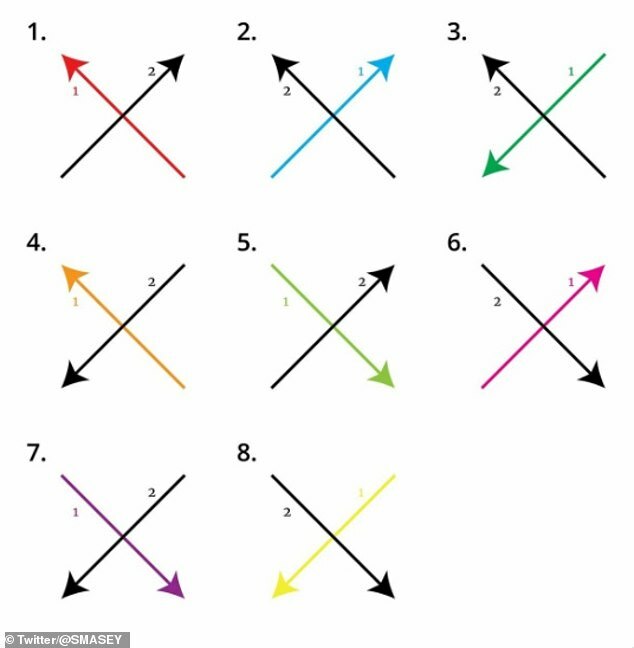 Philadelphia artist Sixers Smasey drew the graphic, which includes illustrations of eight different ways a person could conceivably draw the two crisscrossing lines that make up the letter X, with arrows and colors distinguishing the order and direction of each method. 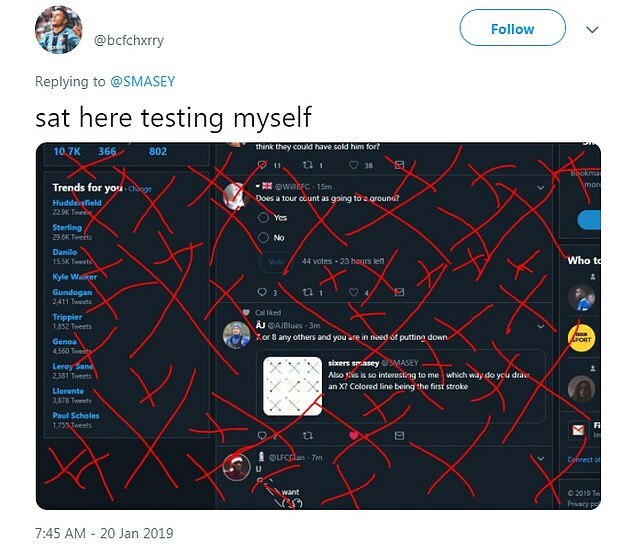 While sharing the diagram on her Twitter account, the creator asked her followers which method they preferred - and the seemingly-simple question immediately threw people for a loop, with English speakers insisting vehemently there is only one correct way to draw the letter in question. Unfortunately, they don't seem able to agree on which way that is. It also shows the direction each line is drawn, from top to bottom or bottom top top. 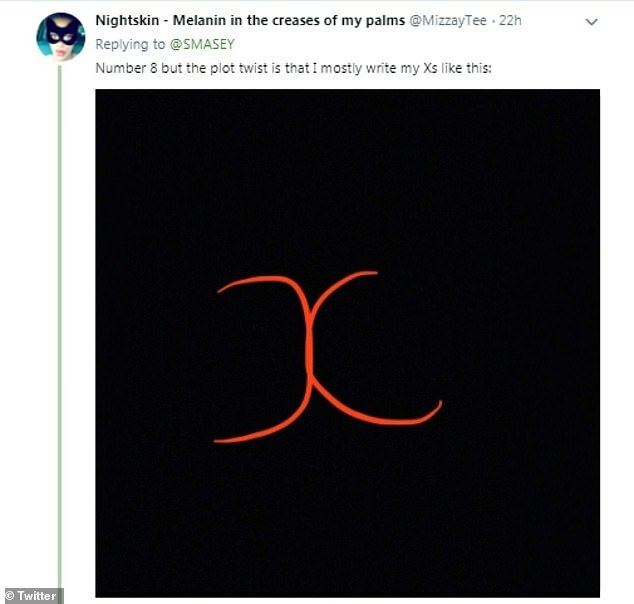 In just a couple of days, her tweet took off, with other Twitter users proclaiming the 'correct' way to draw an X in the comments. The problem is, there isn't unanimous agreement over which is correct — not even close. The sketches on the diagram show that users who stick to methods one and two start from the bottom and draw both strokes upwards. Meanwhile both brushstrokes in sketches seven and eight begin from the top downwards, while numbers five and six switch directions after the first stroke. Options three and four both require an up and a down stroke. 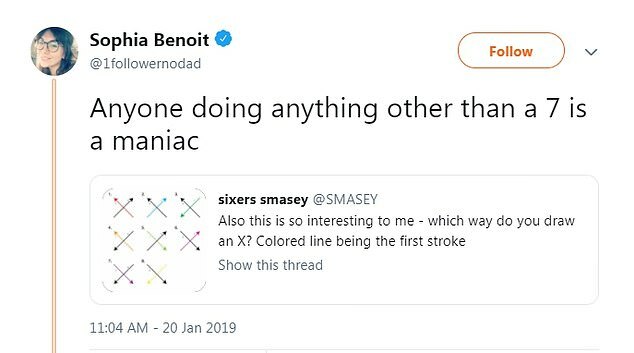 After the diagram caused a serious furor on social media, Sixers later revealed that she had noticed a geographical trend in responses, with Americans typically gravitating towards methods seven and eight, while numbers five and six are believed to be more typical of Brits. 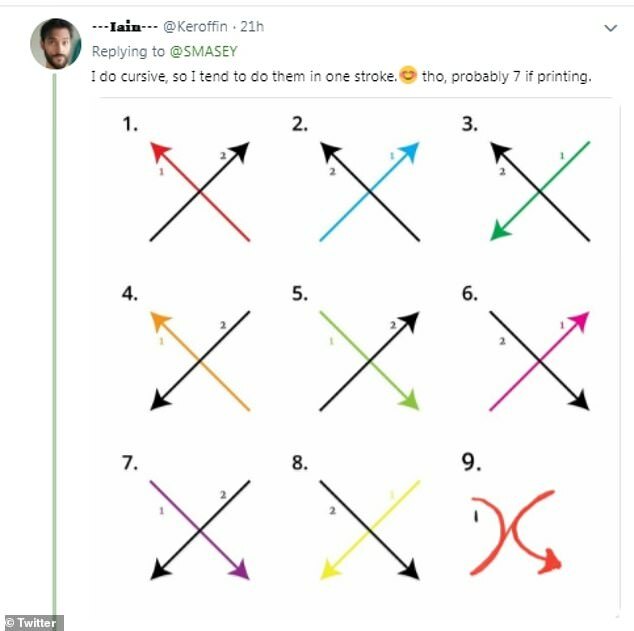 'General consensus is that Americans do 7 and 8 while UK does 5 and 6,' the artist explained, adding that the trend was probably because of how people were taught to write in their respective countries. 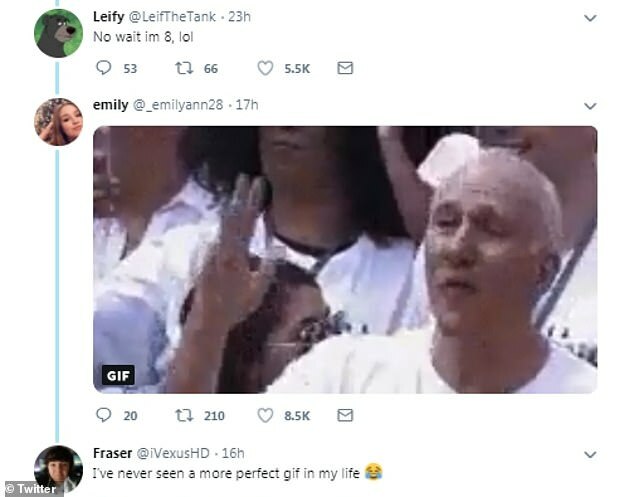 However, Sixers pointing out a trend in the responses didn't stop people from continuing to share their own preferred method - and their thoughts on why it was the 'correct' option. Author and actor Stephen Fry piped up to say that he's a seven, going against the American versus British trend that Sixers had pointed out. The Good Place writer Megan Amram said she does #6, but she's 'also a proven stupid idiot'. Although there was fierce debate over which method was the best way to go about writing an X, the majority of users appeared to follow diagrams five, six, seven and eight. 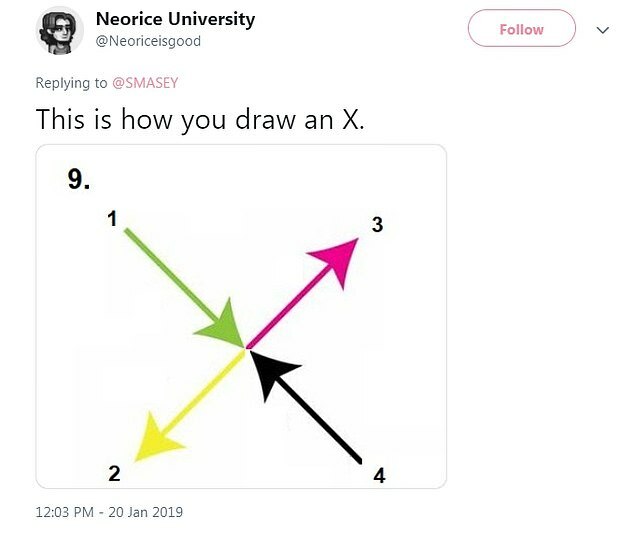 Many argued that the style of drawing an X was down to whether users were left or right-handed, while others claimed it was down to what you were taught at school. 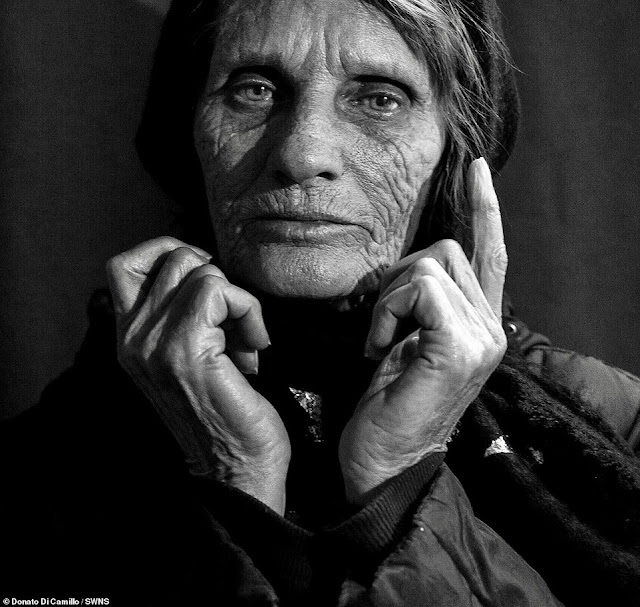 'I'm right handed. Much more natural to start the x in top right corner,' one follower wrote. Questioning the theory that Americans tended to stick to methods seven or eight, one added: 'I’m American and I was taught number five'. And many followers questioned users followed diagrams one and two, which start with both brushstrokes at the bottom. 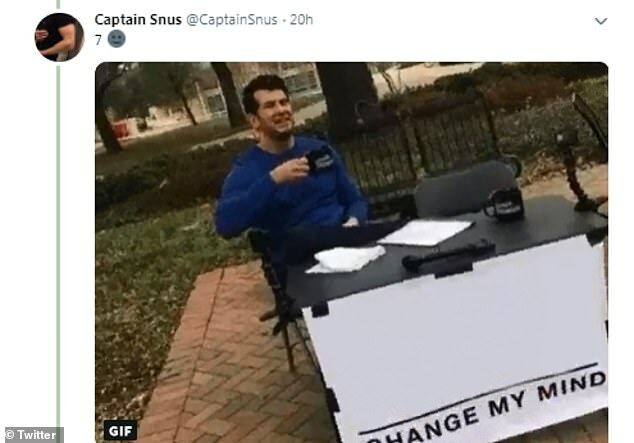 Quite a few people also took the time to insult anyone who does it any way different from their own. 'Anyone doing anything other than a 7 is a maniac,' wrote one. 'People who draw bottom to top are also the ones that put their toilet paper on the holder the wrong way,' wrote another. 'Exactly, any other way is madness. Whoever does one or two truly terrifies me, it's like starting an S from the bottom!' a user agreed. In a further twist other baffled users admitted the exercise had left them totally confused as to how they actually draw the letter. 'Saw this. Immediately forgot how I have been drawing x's my entire lift. Had to write each one down. None felt right. Taking all words with x's out of my vocabulary until further notice,' one troubled user wrote.